Spiral waves rigidly rotating in excitable media sometimes play a constructive role in self-organization, while in many cases they cause an undesirable and dangerous activity. An understanding of spiral wave kinematics can help to control or to prevent this self-sustained activity. 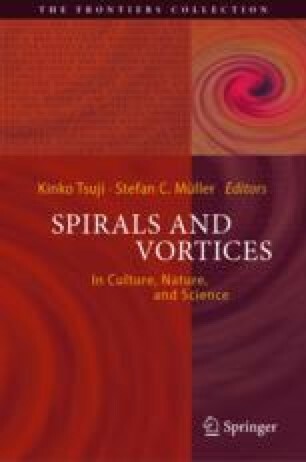 A description of the spiral wave kinematics performed by use of a free-boundary approach, reveals the selection principle which determines the shape and the rotation frequency of spiral waves in an unbounded medium with a given excitability. It is shown that a rigidly rotating spiral in a medium with strongly reduced refractoriness is supported within an excitability range restricted by two universal limits. At the low excitability limit, the spiral core radius diverges, while it vanishes at the high excitability limit and the spiral wave resembles the Yin-Yang pattern.